Saje’s House and Pod is situated on Reform Hill overlooking views of the Ovens Valley. 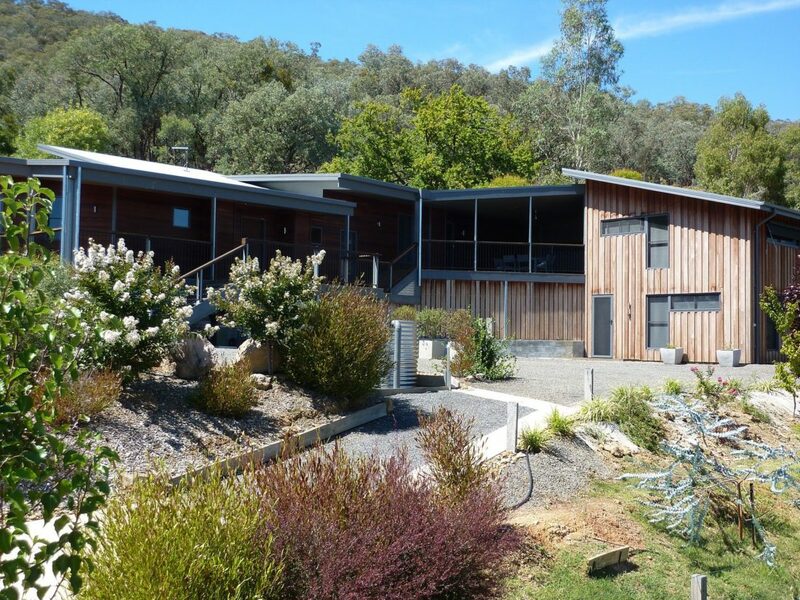 There is easy walking access to Myrtleford, which is in itself central to the wider North East Victoria region – Milawa, Beechworth, Yackandandah, Mt Beauty and Bright. 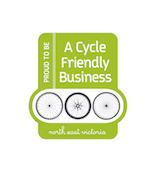 The property has been recently updated to add plenty of storage options for bicycles with a lock up storage for those wanting to ride the Murray to Mountains Rail Trail and Ride High Country features. The house has a fully equipped kitchen and dining area, a stylish and comfortable living/television room, two bedrooms – one with a queen bed and the master a split king with ensuite, a separate bathroom, a laundry and an outdoor dining area on the deck. There is also a rear gas barbecue in a garden setting. The Pod is a two storey self-contained unit with private access and parking. It has a queen bed with ensuite and an upstairs living and eating area overlooking the town and opening onto the shared deck with a gas barbecue for Pod guests. Saje’s House and Pod has been awarded a 2018 Guest Review Award from Booking.com and a Super host Bonus from Airbnb. The House has a fully equipped kitchen and dining area, a stylish and comfortable living room with a study nook and two bedrooms, a separate bathroom, a laundry and an outdoor dining area on the deck. One with a queen bed and the master a split king with ensuite. There is also a rear gas barbecue in a garden setting. Saje’s is air-conditioned and offers free Wi-Fi. The House can accommodate two couples or one couple and two singles. The Pod is a two storey self contained unit with private access and parking. It has a queen bed with ensuite and an upstairs living/eating area overlooking the town and opening onto the shared deck with a gas barbeque for Pod guests. Free Wi-Fi is offered.